Kaylee is very familiar with all the struggles that come with a loving person who cannot live without drugs. Her boyfriend, Jack, spent the last five years in the 10-year relationship with oxycontin and heroin addiction. And Kaylee decided to separate from her boyfriend. But Kaylee says that the decision was the best decision of her life. Let's know about this story in detail. I know Jack from high school. We were in the eighth grade when we became friends. He was very shy and reticent. We did not know when we became such a good friend that we just loved staying with each other. But during the college studies, Jack changed his behavior that felt a little strange to me. He began to like to drink a few beer at the weekend and sometimes even a few drugs. But it did not affect our relationship and we began dating. Everything was going well. Unfortunately, maybe luck was not in our favor. One day, Jack went to Napa in California to meet his cousin brother when he had an accident and he was badly injured which was the turning point of our story. However, prescription painkillers were used during Jack's treatment but even after treatment, he could not stop using painkillers including oxycontin. When he came to know that the legal supply of oxycontin has ceased, so he started buying it off the streets. From where his financial condition worsened. Even he asked me money many times but by lying so that he may buy pills. However, I knew, it was bad but probably did not know how bad it is. Then Jack had reduced meeting to me and gradually the situation worsened, even more, when he turned to heroin. 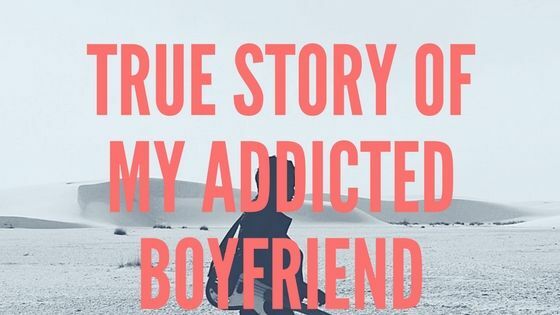 The boy who I wanted to make a life partner was now seeming like a stranger because only drugs were everything for him, for which he left the house also. For several months, I covered for Jack and I made excuses to all of our friends that he is fine. In fact, when I went to him, he was sometimes become violent and especially in case of not getting heroin. I think that time was the most tragic time of both of us. After all, I convinced myself to leave Jack but in reality, I didn’t want to give up. Believe it or not, I was watching an addiction documentary on TV that looked like the image of the life of both of us. After all, I knew that we both have to be strong and Jack needs to be interested in quitting the addiction. Otherwise, I had to go. I did all the research and consulted the counselors. Eventually, Jack agreed to go into rehabilitation. Unfortunately, Jack was kicked out of at least 6 rehabilitation centers and this process was repeated continuously. Finally, I had to make a decision to leave him to save my own life. Although it was the most difficult for me. One night he was sitting down in the lounge then I told him that I want a breakup. Jack was surprised and tears filled his eyes but I did not care. However, I had threatened him several times before for the same reason but in the meantime, I thought that he would come back. But now everything was over. He made many promises to me like always but I refused to go with him by putting a stone on my heart. As people say that “everything happens for a reason”. When I and Jack separated, he was forced to deal with this mess because I was not with him to cover all. Now I suppose that I was probably enabling his addiction. Therefore, I consider myself responsible for this. Then Jack voluntarily enrolled in the long-term rehabilitation center. Meanwhile, I was trying to fill up my wounds. I joined in group therapy where it seemed good to talk to people. That support was worth its weight in gold, let me tell you. Jack spent about 6 months in the rehabilitation center. During which I met Jack 2-3 times. Seeing him, it seemed as if he had made calm his conscience. I knew that he was recovering. Finally, Jack won the addiction. And today he is living a sober and happy life. In fact, he’s working as a counselor for youth in the wilderness therapy program. We have got married and we have a son. We are very happy with each other. So I believe that the decision I made in the past has returned our happiness. And from the past, I learned a lot. I thank God, now our life has become better than before in which Jack has given important contributions to making every difficult thing easy. So now I have no regrets.